How food and beverage marketers are targeting Hispanics, Asians and other fast-growing demographic groups. For the first time, racial and ethnic minorities make up more than half the children born in the U.S., reports the Huffington Post/Associated Press. And a headline earlier this year predicted collective minorities would become the majority in the U.S. as early as 2040 – although more recent studies are pushing that date back as immigration has slowed, probably due to the weak economy. Nevertheless, Hispanics and Asians, in particular, are forces to be reckoned with – and marketed to. Every food & beverage processor that wants to be around in 2040, or maybe even 2020, is creating strategies to appeal to these groups. The annual growth rates for Hispanics, who make up 16.7 percent of our population, and Asians, who represent 4.8 percent, fell sharply last year to about 2.2 percent, roughly half the rates in 2000. The growth rate of Blacks, who comprise about 12.3 percent of the population, stayed flat at 1 percent, as did that of Caucasians. So, despite some slowing, the nation's minority population continues to rise, following a higher-than-expected Hispanic count in the 2010 census. Minorities increased 1.9 percent to 114.1 million, or 36.6 percent of the total U.S. population, boosted by earlier waves of immigration of young families and Hispanic women in their prime childbearing years. With relatively high fertility rates – seven births for every death – the median age of U.S. Hispanics is 27.6 years compared to 42 for whites. The danger – for marketers and for stories like this one – is to imply that you can market to a unified demographic called "Hispanics." The Hispanic population in America hails from some 24 Latin American countries – all but Portuguese-speaking Brazil. And even that connected group is a diversity of cultures. Some demographers include European Spanish in this category. Change the term to Latino and you can include Brazil and Portugal. Despite that warning, we will continue to address them collectively as Hispanics in this article. Hispanic women represent the most passionate and proactive shopper segment searching for the best deals across all retail channels, according to an Internet survey of 1,950 respondents in December 2011 by New York-based WSL/Strategic Retail, (www.wslstrategicretail.com) an authority on shopper behavior and retail trends. The finding was revealed as part of the Company's How America Shops MegaTrends report, Moving On 2012, which notes that Hispanic women are more actively using mobile devices, coupons, online searches, dollar stores and deep discount retailers to save money, as compared to other female demographics. "Hispanic women are an important population to watch as early adopters of the future of shopping," says Candace Corlett, president of WSL/Strategic Retail. "To achieve the American Dream of having it all, Hispanic women shop more creatively than other demographics, utilizing every savings opportunity to get what their families need at the lowest price." Findings include: Nearly 60 percent of Hispanic women use apps to search for the lowest price; 53 percent make it a point to search online before going shopping; 53 percent use their mobile devices in the store to find electronic coupons, sales and discount codes; 75 percent are using traditional coupons to get the lowest sale price; 54 percent only buy items that are on sale; and 63 percent will travel further to shop at a store where they can save money. These findings gain significance when compared to the shopping behaviors of other ethnic demographics, as Hispanic women consistently rank higher than both Caucasian and African American women, by about 10 percentage points. First of all, Hispanic or Latino? Answer: They either don't care or don't care for either. Nearly four decades after the U.S. government mandated the use of those terms to categorize Americans who trace their roots to Spanish-speaking countries, a new Pew Hispanic Center study of 1,220 U.S. Latino adults finds that most respondents don't care if they are called Hispanic or Latino. Of those that do care, Hispanic is preferred by 33 percent, versus 14 percent who prefer Latino. Fifty-one percent of those surveyed say they use their family's country of origin to describe their identity. That includes such terms as "Mexican" or "Cuban" or "Dominican." Twenty-four percent say they use the terms Hispanic or Latino, and 21 percent say they use American most often. The study found. U.S.-born Hispanics (who now make up 48 percent of Hispanic adults) express a stronger sense of affinity with other Americans and America than do immigrant Hispanics. The survey finds that 38 percent of all respondents are Spanish language-dominant, 38 percent are bilingual and 24 percent are English-dominant. Among U.S.-born Hispanics, 51 percent are English-dominant. Race is another tricky issue. Most Hispanics don't see themselves fitting into the U.S. Census Bureau standard racial categories. When it comes to race, 51 of Latinos identify their race as "some other race" or "Hispanic/Latino." Meanwhile, 36 percent identify their race as white, and 3 percent say their race is black. Some 69 percent say that the more than 50 million Latinos in the U.S. have many different cultures rather than a common culture. Respondents do express a strong, shared connection to the Spanish language. Some 82 percent say they speak Spanish, and nearly all (95 percent) say it is important for future generations to continue to do so. Every 30 seconds a young Hispanic turns 18. It is the fastest growing and most influential segment of the U.S. population, with a collective buying power reaching $1 trillion, according to The Hartman Group (www.hartman-group.com), Bellevue, Wash.
Hartman is working on a deep-dive exploration of the lifestyle and shopping behaviors of U.S. Hispanic consumers, both unacculturated (recent arrivals to the U.S., with Spanish as their dominant language) and acculturated (cultural modification or adaption due to prolonged contact, they tend to be bilingual). And now we have a generation of U.S.-born Latinos, who are not fluent in Spanish even though they are exposed to the language their parents speak at home. One apparent truism is that preparing traditional family meals is of high value to Latinos, but the need for convenient foods is increasing, according to Univision Communications Inc. Cooking traditional foods goes beyond providing healthy, nutritious meals; it represents the importance of family time and offers a way to keep the Hispanic culture alive. Goya Foods: Frijoles or habichuelas? Celebrating its 75th anniversary this year, Goya Foods Inc. (www.goya.com), Secaucus, N.J., is America's largest Hispanic-owned food company. 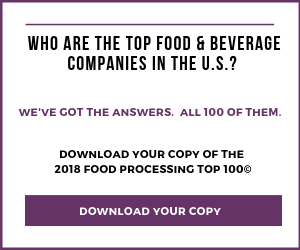 It markets more than 1,600 Hispanic and Caribbean grocery items, including canned and dried beans, canned meats, beverages, cooking oils, olives, rice, seasonings and sauces, plantain and yucca chips, frozen treats and entrees. It sells many different types of rice and nearly 40 types of beans and peas under the Goya and Canilla brands. It also sells beverages such as tropical fruit nectars, juices, tropical sodas, and coffee, and its operations span the globe. Founded in 1936 by Don Prudencio Unanue and his wife Carolina, both from Spain, the Goya story is as much about family as it is about achieving the American dream. Believing the Unanue name would be too difficult for Americans to pronounce, he purchased the easier to pronounce Goya name for $1. The company is the leading authority on authentic Hispanic food and products from the Caribbean, Mexico, Spain, Central and South America. Uniquely, every retailer pays the same price for each Goya product whether a small independently owned store or a supermarket chain. Goya's commitment to the Latino community is realized through its online presence, www.goya.com, which personalizes the consumer experience by providing great-tasting, authentic Latino recipes for the home cook as well as educating Hispanics and non-Hispanics alike to the diversity of Latin American cuisine. Visitors to Goya online are encouraged to become part of La Gran Familia Goya. "It has been a memorable and successful year for Goya," says President Bob Unanue. "We are so proud and humbled by the overwhelming support and recognition of our 75th anniversary. It's an incredible feeling and gives us the confidence and ability to further invest in Goya and the community." Fernando Desa, a native of Mayagüez, Puerto Rico, is Goya's executive chef and product manager. Capturing the traditional tastes and methods that have been handed down through generations, he works to retain the flavors that epitomize Latin American cuisine while incorporating new techniques that can be easily duplicated by the home chef. "Hispanics like a lot of flavor in their food, and then the presentation on the plate. And then the freshness," said Desa, part of a panel on Hispanic cuisine at the Research Chefs Assn. annual meeting this year. On the culinary horizon, "I think Peruvian is the next thing," Desa said. "It has already started. It's a fusion of Asian cuisine with a little Spanish cuisine. There are a wide variety of chiles. There is also a lot of freshness with the fish. Besides that, there are the mango, the passion fruit, very tropical and refreshing. When you mix that with the chilies, you have an excellent combination. A perfect story of acclimation, Ruiz Foods Products Inc., Dinuba, Calif., has been developing Mexican food products since the 1960s. "When my dad [Fred] and grandfather [Louis] started Ruiz Foods in 1964, they started with bean and cheese enchiladas and chile rellenos," says Chairman Kim Ruiz Beck. "They both lived in Tulare, Calif., a small agricultural and dairy community with a population around 14,000. They sold their frozen Mexican food, made from my grandmother Rosie's recipes, to small ‘mom and pop' stores in the area. "The Ruiz Foods production facility was a portion of a small warehouse where they used such ‘sophisticated' equipment as an electric mixer from home, a homemade stove, a restaurant refrigerator and small freezer. They made approximately 40 lbs. of food a day. "They remained a two-man operation for approximately three years. Then they moved to a USDA-approved facility so they could manufacture meat products, and it all began to change," she reflects. Ruiz Foods is now a $525 million sales company. "As with any other ethnicity – Italian, Asian, German, Russian, etc. – that has immigrated to the U.S., the Mexican population brought with them the foods and recipes of their native country," Beck continues. "They served their favorite foods to their new American friends, they opened street stands or taquerias, and Mexico itself became a vacation destination for many Americans. And while people of all ethnic backgrounds became exposed to the unique textures, flavors and spices of Mexican food, they experimented slowly … just as they did when eating Italian, Chinese, Thai, German, etc. for the very first time." There were some hard lessons along the way. "In the late 1970s, when we introduced our burritos with jalapeños and/or chile powder (e.g. ancho, chipotle), the general market balked," she says. "Our learnings? It takes time to introduce native spices, heat levels and textures. Palates must become acclimated and consumers must become comfortable and be ready to experiment with different dishes." Fortunately, acceptance came rather quickly. "Today, consumers, particularly millennials, are looking to experiment with the different flavors, textures and levels of heat that Mexican foods offer," says Beck. A departure from that family and Hispanic tradition occurred just last month. While Beck remains chairman, Rachel Cullen was appointed president & CEO, replacing a Ruiz family member. Cullen has more than 25 years experience with the likes of Unilever, Kraft, Orange Glo International and, most recently, Dean Foods. Asians recently passed Hispanics as the largest group of new immigrants to the U.S. Asian Americans are the highest-income, best-educated and fastest-growing group. They are more satisfied than the general public with their lives, finances and the direction of the country, and they place great value on marriage, parenthood, hard work and career success, according to a new survey by Pew Research Center. Pew surveyed 3,511 Asian adults living in all 50 states Jan. 3-March 27 of this year. A century ago, most Asian Americans were low-skilled, low-wage laborers crowded into ethnic enclaves and targets of official discrimination. Today they are the most likely of any major racial or ethnic group in America to live in mixed neighborhoods and to marry across racial lines. When newly minted medical school graduate Priscilla Chan married Facebook founder Mark Zuckerberg this summer, she joined the 37 percent of all recent Asian-American brides who wed a non-Asian groom. These milestones of economic success and social assimilation have come to a group that is still majority immigrant. Nearly three-quarters (74 percent) of Asian-American adults were born abroad; of these, about half say they speak English very well and half don't. The educational credentials of these recent arrivals are striking. 61 percent of adults ages 25-64 who have come from Asia in recent years have at least a bachelor's degree. This is double the share among recent non-Asian arrivals, and almost surely makes the recent Asian arrivals the most highly educated cohort of immigrants in U.S. history. The modern immigration wave from Asia is nearly a half century old and has pushed the total population of Asian Americans – foreign born and U.S born, adults and children – to a record 18.2 million in 2011, or 5.8 percent of the total U.S. population. That's up from less than 1 percent in 1965. By comparison, non-Hispanic whites are 197.5 million (63.3 percent), Hispanics are 52.0 million (16.7 percent) and non-Hispanic Blacks are 38.3 million (12.3 percent). Asian Americans trace their roots to dozens of countries in the Far East, Southeast Asia and the Indian subcontinent. Each country of origin subgroup has its own unique history, culture, language, religious beliefs, economic and demographic traits, social and political values and pathways into America. Despite often sizable subgroup differences, Asian Americans are distinctive as a whole, especially when compared with all U.S. adults, whom they exceed not just in the share with a college degree (49 percent vs. 28 percent), but also in median annual household income ($66,000 versus $49,800) and median household wealth ($83,500 vs. $68,529). They are more likely than the general public to live in multi-generational family households. Some 28 percent live with at least two adult generations under the same roof, twice the share of whites and slightly more than Blacks and Hispanics who live in such households. U.S. Asians also have a strong sense of filial respect; about two-thirds say parents should have a lot or some influence in choosing one's profession (66 percent) and spouse (61 percent). Asian Americans have a pervasive belief in the rewards of hard work. 69 percent say people can get ahead if they are willing to work hard, a view shared by a somewhat smaller share of the American public as a whole (58 percent). And 93 percent of Asian Americans describe members of their country of origin group as "very hardworking"; just 57 percent say the same about Americans as a whole. Large-scale immigration from Asia did not take off until the passage of the landmark Immigration and Nationality Act of 1965. Over the decades, this modern wave of immigrants from Asia has increasingly become more skilled and educated. Today, recent arrivals are nearly twice as likely as those who came three decades ago to have a college degree, and many go into high-paying fields such as science, engineering, medicine and finance. This evolution has been spurred by changes in U.S. immigration policies and labor markets; by political liberalization and economic growth in the sending countries; and by the forces of globalization in an ever-more digitally interconnected world. On the basis of the evidence so far, this immigrant generation has set a bar of success that will be a challenge for the next generation to surpass. Not surprisingly, when it comes to language fluency, there are significant differences between the native- and foreign-born adults. Only about half (53 percent) of the foreign born say they speak English very well, compared with 95 percent of the U.S. born. The Asian-American label itself doesn't hold much sway with Asian Americans. Only 19 percent say they most often describe themselves as Asian American or Asian. A majority (62 percent) says they most often describe themselves by their country of origin (Chinese or Chinese American; Vietnamese or Vietnamese American), while just 14 percent say they most often simply call themselves American. Among U.S.-born Asians, 28 percent most often call themselves American. In these identity preferences, Asian Americans are similar to Hispanics, who also are more likely to identify themselves using their country of origin than to identify as a Hispanic or as an American. Some 43 percent say Asian Americans are more successful than other racial and ethnic minorities in the U.S., 45 percent say they are about as successful, and just 5 percent say they are less successful. Native-born and foreign-born Asian Americans have similar views about their group's success relative to other minorities. Members of the nation's other large immigrant group – Hispanics – are less than half as likely as Asian Americans to say their group is more successful than other minorities. With new generations of U.S. born Latinos and Asians, assimilation continues to be challenging, but respecting and incorporating the best of new cultures and cuisines is at the heart of the American experience.